Video games, as they pertains to old/new media, have been something that has separated the generations born before and after the invention of video games. I don’t know of someone who was born before the video game age that is perfectly proficient in playing video games. That logic is flawed as it is a sweeping statement, however, I do believe there is a divide. To illustrate an example, my parents have never played a video game with the exception of old Atari Inc. games like Pong. That does not mean that my parents think that I am wasting my time as the article clearly expresses. My parents don’t necessarily always approve but that is part of the generational divide that the article backs up. The article supports its claim by polls conducted by AOL games. 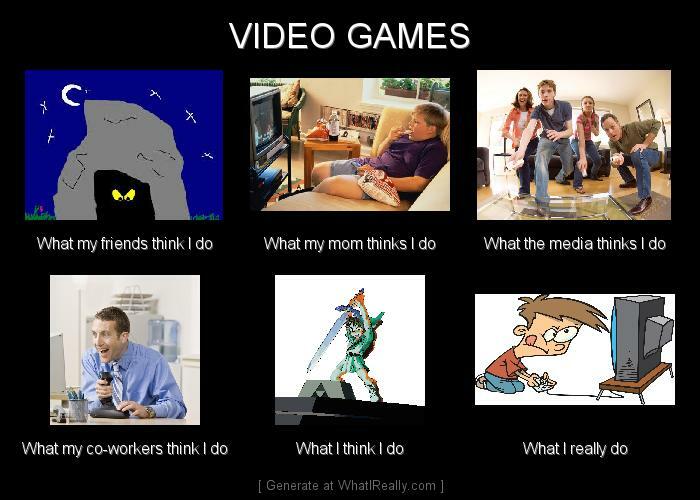 It provides statistics on how many adults play video games and the demographic of adult’s that actually do. The article doesn’t supply when that divide took place and who those culturally divided age groups are. This I hypothesize is centrally because it is a subjective argument. The generational “line of divide” is not necessarily a literal line. The article however focuses on parents and children where the age group differences are much more extreme. My guess is that the divide took place a little before the period of the mid eighties to early nineties when the popularity and market share of video games rose sharply. The only ethos I have to that claim is that I am apart of the “newer generation” and a recreational gamer myself. The new technology of video games introduced a fundamental difference into the media world, this was interactivity. (Also known as modularity to paraphrase Lev Manovich) Interactivity seems to be the thing that separates old and new according to most media scholars. It also seems to separate the parents and the children too. The parental generation watches television so it can’t be that factor. it can’t be the vehicle (console, PC, etc.) either so it must be the ability to control your characters fate. I find that very fascinating actually because it is a basic aspect of video games and a strong dividing line of the old/new medias. Fram, Alan; Tompson, Trevor. “Poll Shows a Generational Divide Over Video Games.” Boston.com. 14 November 2007. Web. 28 January 2014.